Just a tip for you scurvy dogs, from the Dread Pirate Morgaine herself: a pirate wench loves wine, chocolate and romance. So leave your rum and whisky behind when you are wooin’; unless of course, she tells you otherwise. ‘Tis true that wenches mean what they say and say what they mean when they say it! It’s also best to take a bath or two before you see your favorite pirate wench, or she might stick you with the pointy end of her favorite dagger. From time to time a pirate wench may decide to marry. This confuses the pirate, especially when he thinks he can leave her behind. Just as what’s good for the goose is good for the gander, so what’s good for the pirate is also good for the bride. My blood-red flag ere over long shall meet thy gaze again. One kiss – one kiss – goodbye….. If you must leave, please be sure to return with wine and chocolate. You’ll have to take the wine from the French and the chocolate from the Spanish, so if you want to make a pirate wench happy you’ll need as much luck as a Leprechaun Pirate can muster! As a special note, Morgaine prefers red wine and dark chocolate, neither should be too sweet or too bitter. All pirate wenches have their own preferences, so please ask before you present them with wine, chocolate, or romance. 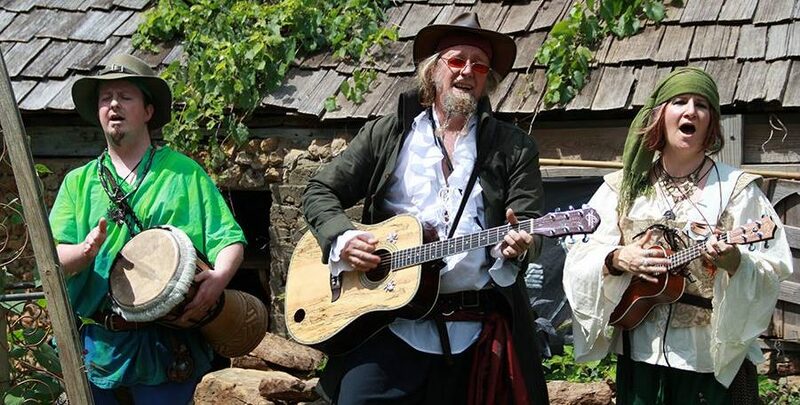 So bring your favorite Pirate Wench and join us this weekend at the Minnesota Renaissance Festival, September 10 & 11, for Wine, Chocolate & Romance. Avast ye Bucko! Enter your email address to subscribe to this blog and receive notifications of new posts by email. Savvy? © Copyright 2016 The Leprechaun Pirates – no stealing or you’ll be visiting Davy Jones Locker!